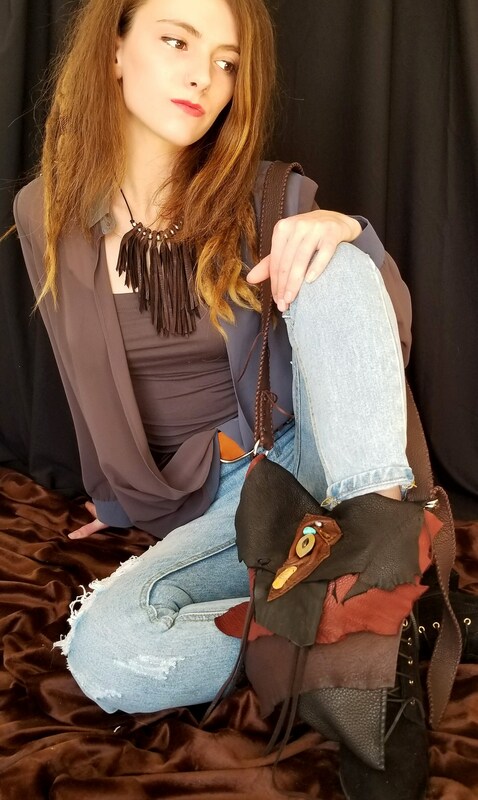 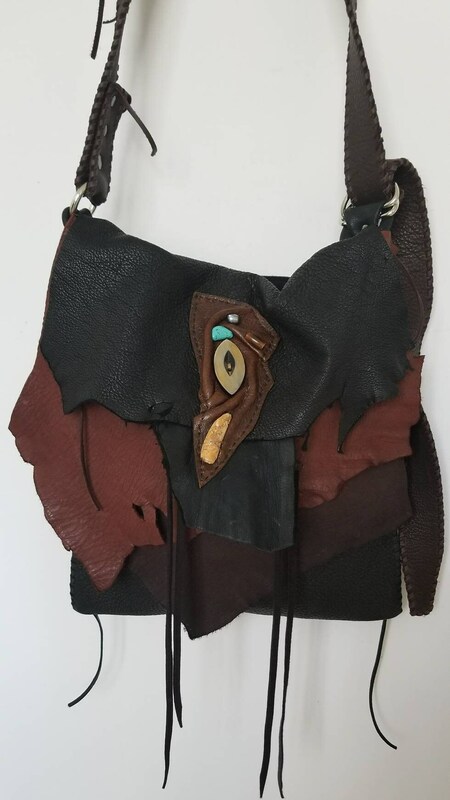 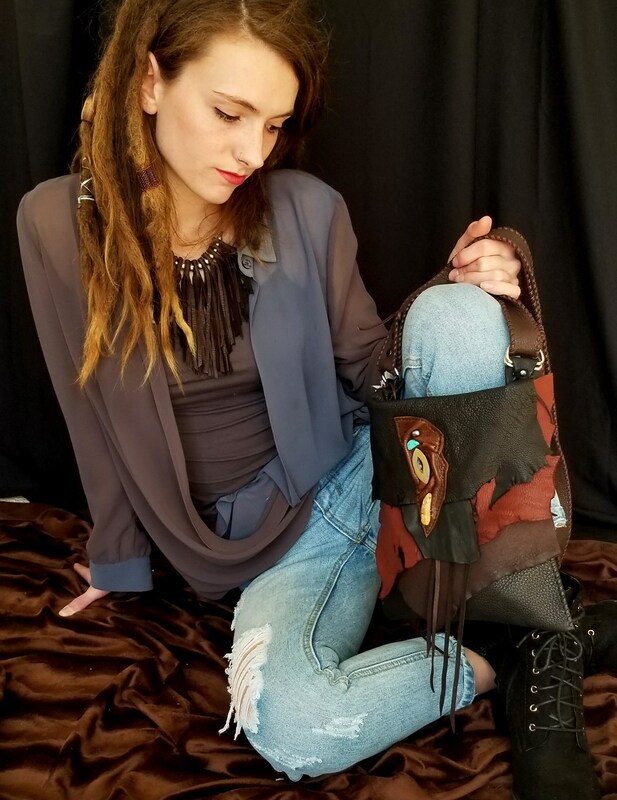 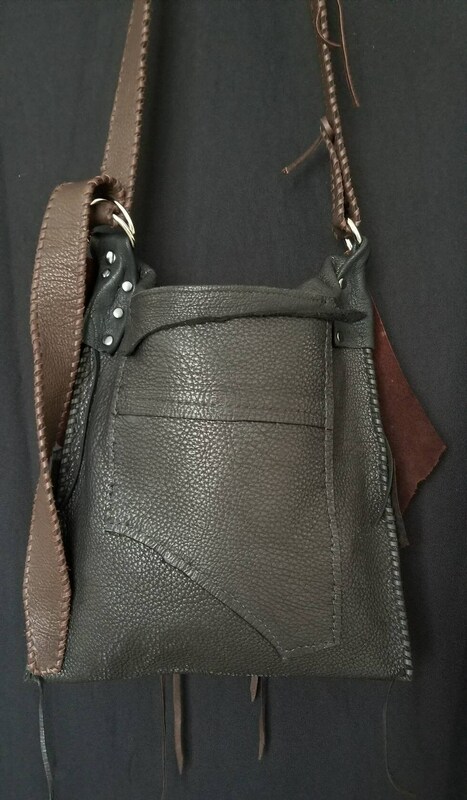 Multi color Boho Leather bag. 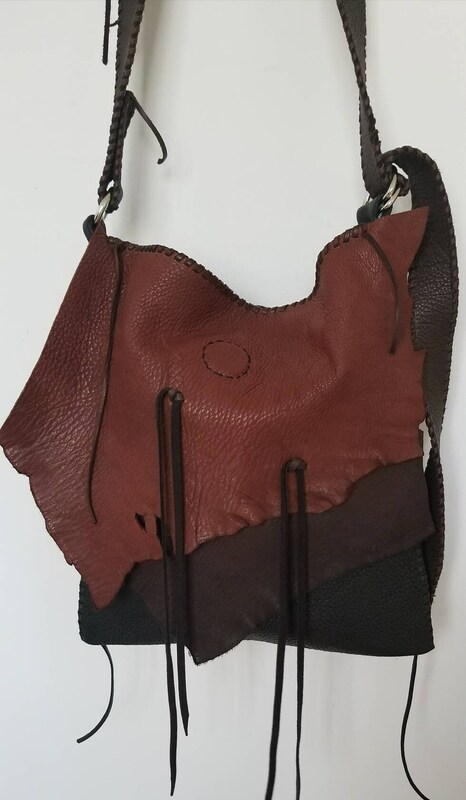 Very soft deer hide hand made leather bag. 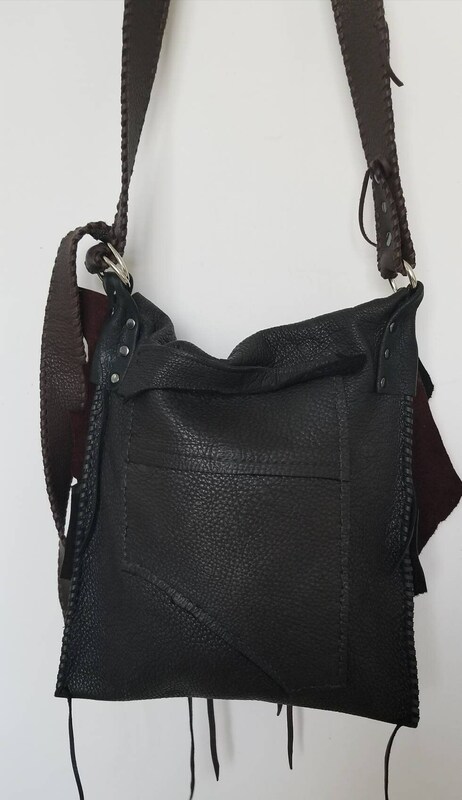 Black leather with a mixture of two brown colors. 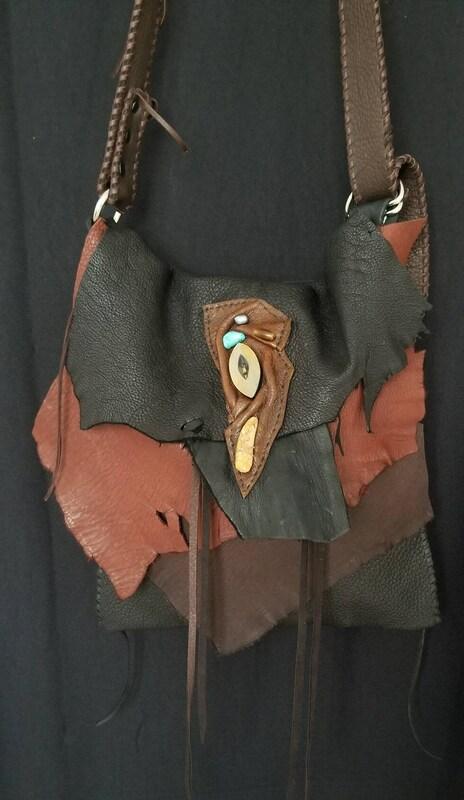 It measures 10" wide by 11" long.